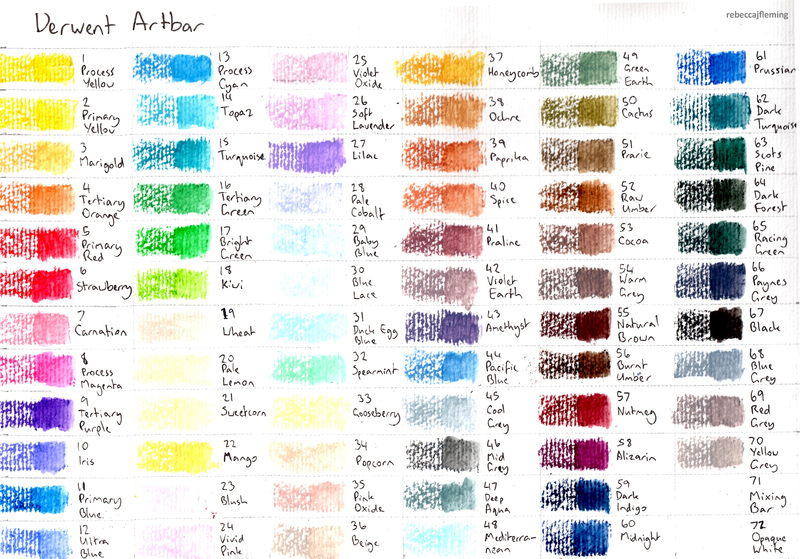 These are the colour charts for all the artists’ crayons I’ve tried. For some brands I’ve only tried a small number of colours, but if and when I try more, I’ll update the colour charts to reflect that. 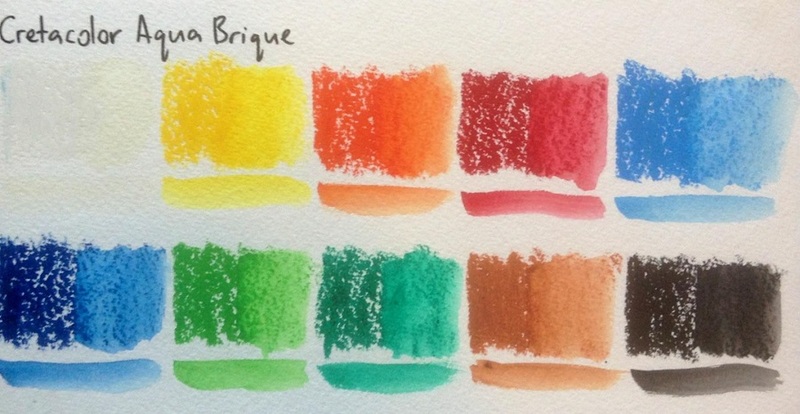 Click here for my review of Cretacolor AquaBrique. Click here for my review of Derwent Artbars.